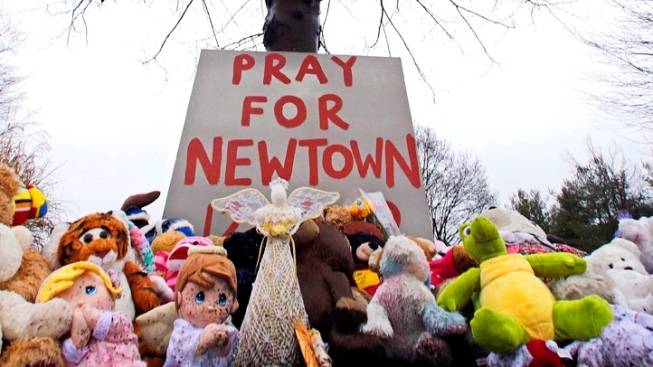 More than seven months have passed since the shooting at Sandy Hook Elementary that left 20 students and six educators dead and the report into the shooting is expected to be released in the fall. Gov. Dannel Malloy’s chief of staff today met with the State’s Attorney for the Judicial District of Danbury and Chief State’s Attorney about the Sandy Hook investigation and learned that the state’s attorney expects to issue his report in the fall. “The scale of the investigation is such that even a fall release of the State’s Attorney’s report is well within what would be expected from this type of investigation,” a statement from the state Division of Criminal Justice says. “The victims’ families have been a priority throughout the investigation and are spoken with regularly by the State Police and the State’s Attorney and will continue to be,” the statement goes on to state. Last week, Malloy spoke out after the Hartford Courant revealed that Newtown and State Police officers continue to speak at conferences around the country about their response to the shooting. State Police said that, in the most recent conferences, officers are only talking about the response to the shooting and lessons learned. In March, Gov. Malloy and lawmakers criticized state police for revealing secret details about the investigation at a conference in New Orleans. After that, a preliminary report was released while lawmakers were crafting new laws. Since then Danbury State's Attorney Stephen Sedensky, the lead prosecutor in the case, ordered police not to discuss the details of the case. Last week, Malloy said he is anxious for the state to finish the report as soon as possible. "This is extremely painful to a lot of people," he said. "The sooner we get this report out the better it is for the families and everyone else."